﻿Published this month and causing a bit of a stir both on Twitter and in real life, British feminist author Caroline Criado Perez’s new book, Invisible Women, charts the many ways in which gender bias makes its way into data, rendering the world both more dangerous and less navigable for half of the world’s population. It’s only the most recent reminder of how women’s experiences – indeed our very existence – can be erased from consideration, in the same way that the details of our bodies are airbrushed from glossy magazine shoots. During Women’s History Month, and in the run-up to International Women’s Day, a number of brands have devoted their content marketing and advertising budgets to addressing this, whether by seeking to overturn narratives about women’s lives now, or by rediscovering the stories of women past – the ‘hidden figures’ who might not have got the recognition they deserved. 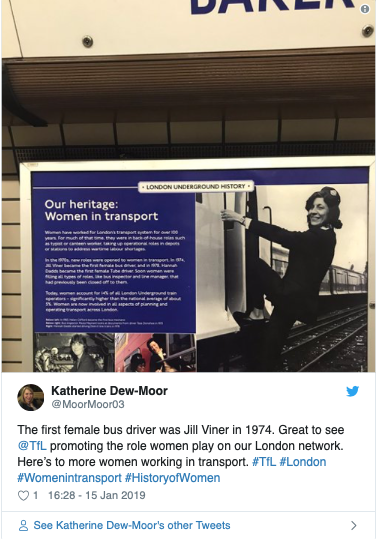 One that has caught the eye of Speaksters, as we travel to the studio off Brick Lane in east London, is Transport for London’s (TfL) campaign which celebrates the pioneering women who broke with convention to become the first in their fields. Women like Marion Dorn, the fabric designer who came up with one of the Underground’s most famous Tube seat designs of the 1930s. And the predominantly-female construction team that completed Waterloo Bridge in 1945. And Jill Viner, who became London’s first female bus driver in 1974. At the same time, notable retail brands have unveiled campaigns tackling present-day erasures. In early March, Mothercare launched its #BodyProudMums campaign, which celebrates the beauty of the stretch marks, C-section scars and un-taut stomachs that are the evidence of wombs having grown a whole new person. The strapline ‘Beautiful, isn’t she’ cleverly redirects the gaze from baby to mother, and turns on its head the nonsensical pressure for new mothers to snap their bodies magically back to ‘normal’ – when every new mother knows that ‘normal’ has changed utterly. Nike’s Dream Crazier film, narrated by Serena Williams and released last month in time to be screened during Oscars coverage, is another powerful brand-led challenge to the pressure women face to be other than themselves. Featuring footage of athlete Caster Semenya, snowboarder Chloe Kim and fencer Ibtihaj Muhammad, the film takes ownership of the ‘crazy’ insult often hurled at women, urging us to do what seems impossible: “It’s only crazy until you do it”. I challenge you to watch it without getting water on the eye. In our own way, the Speak team is contributing to this growing narrative, notably in our Women’s History Month coverage for one of our Content Works clients, Barclays. 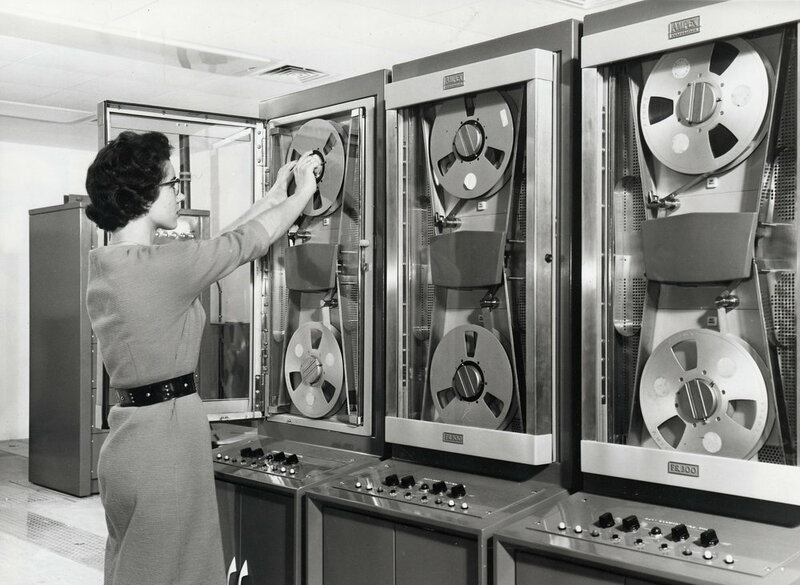 Convinced there must be ‘hidden figures’ lurking undiscovered in the bank’s archive, we approached Barclays’ amazing archivist Maria Sienkiewicz to do some digging. Not only did she discover untold tales of the women who kept the bank running during two world wars and, later, those who pioneered the bank’s introduction of technology – including Audrey Stone, who developed the training manuals for the earliest computers – she also found the incredible black and white photography that helped us bring it all to life. The result was a series of three themed pieces on the contribution of women to Barclays in the 20th century, which we rolled into an International Women’s Day package that also included the voices of the bank’s senior women in the present day. This week, those were joined by a big announcement on the bank’s contribution to women’s football – watch this space. The past few years have felt like a turning point in the way women are addressed – with brands leading the way. Much as in film, it’s already possible to identify Hollywood’s output as pre- and post-‘Me Too’, in content marketing, any brand with an eye on its bottom line knows that being seen to be on women’s side is a no-brainer. Let’s hope it’s more than just a trend.